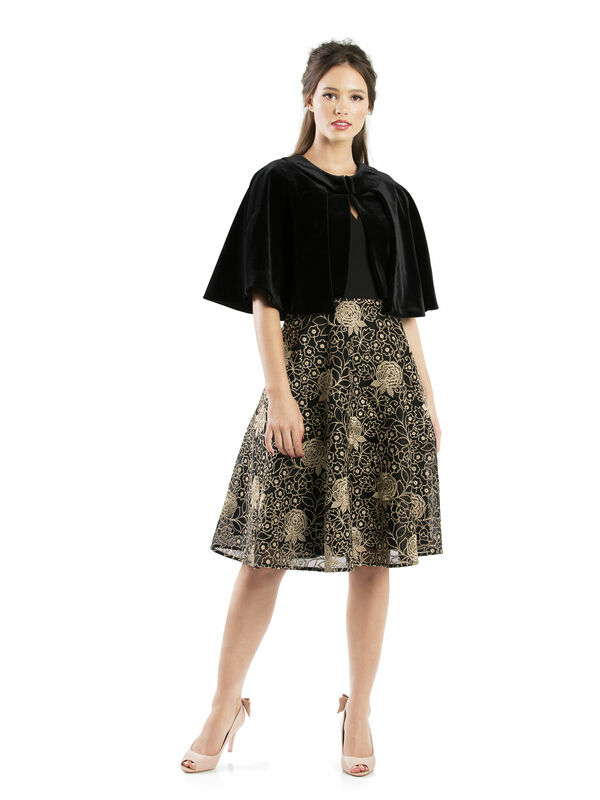 Temptation Cape https://www.review-australia.com/asia/temptation-cape-coat-black/RE19JK064.REBLK001.html Step out into the night with this enchanting Temptation Cape. 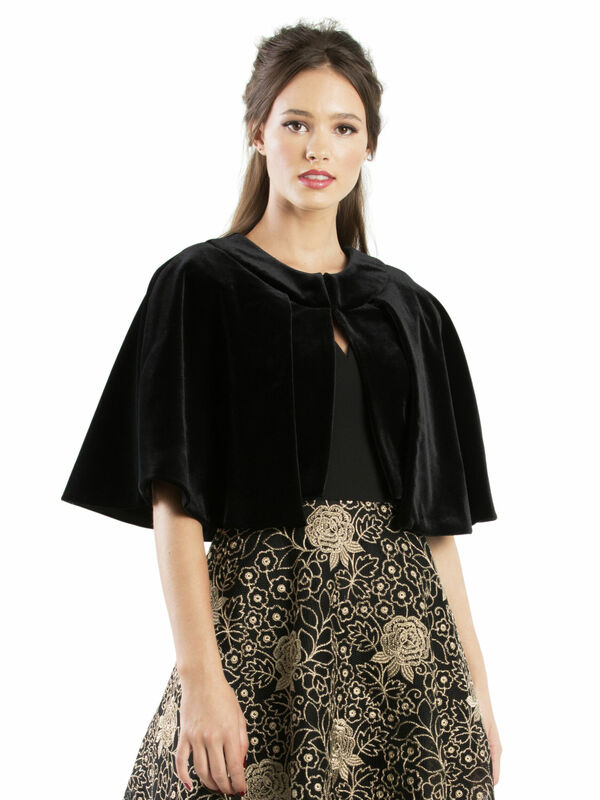 Crafted from a luxurious, black faux-velvet material, with a full silky lining for pure comfort, this fancy demi-cape rests gracefully upon the chest. Soft pleats sashay outwards, making this a heartbreaking look.